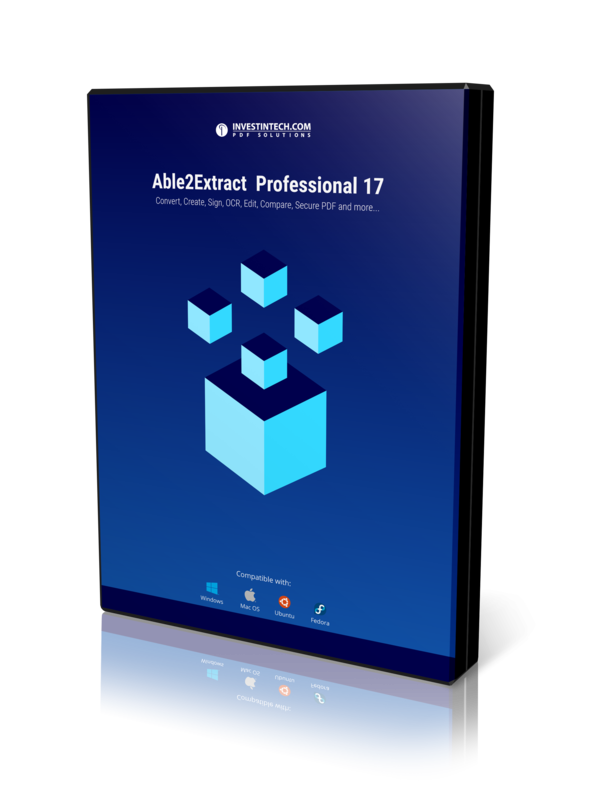 Able2Extract Professional 12 is a PDF conversion software, downloaded by millions. It will enable you to create, convert and edit PDF documents, right on your desktop. Convert PDF to HTML and 12 other file formats. 250,000 licensed users and counting! We are a Canadian company incorporated in 2000, and we're the developer and publisher of our own proprietary PDF technology which is used in desktop, server and developer products worldwide. Millions in over 150 countries have used our flagship PDF product Able2Extract.